High-Index Lenses: Is It Time To Make The Switch? 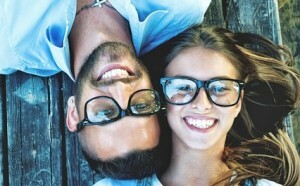 You Are Here: Home » High Index Lenses » High-Index Lenses: Is It Time To Make The Switch? There are millions of people in the world who depend on eyeglass lenses to help correct their vision problems. There are a wide variety of lenses that have been created using amazing technology and hardware that gives people like you the vision correction they need. When you go to your eye doctor to ask about glasses being made, you will typically be able to look at a variety of choices of lenses. As you are probably already aware of, the different lenses on the market all have different features and different benefits. When you purchase eyeglasses, you will expect them to last for a significant amount of time, right? For this reason, you will need to make sure you choose lenses that will hold up. You will also need to make sure you choose frames that will last a long time as well. You want to avoid choosing lenses that will scratch easily or break easily because you will have to spend money either getting those glasses repaired or buying a new pair. Fortunately, many lenses have the ability to add on additional features, such as scratch-resistant coating, anti-reflective coating, tint, etc. There are some major types of materials that are used to create lenses for eyeglass wearers, and they are listed below. High-index lenses are lenses that are made of a thin lens material. Since high-index lenses are so thin, they will feel as light as a feather on your face. You will not have to worry about the glasses being so uncomfortable that you want to take them off every five minutes. A great thing about these lenses is that you will have the ability to add tint into the lenses. Polycarbonate lenses are also lightweight. These lenses can also resist some of the toughest types of impact. You are not limited to the types of frames you can choose when you are looking for frames for your polycarbonate lenses. There are a variety of frames that will be sure to come in a design and style you love. One of the downsides to polycarbonate lenses is that it does not take too much impact to scratch them. You may also not get the type of clarity you need from these lenses. However, it is always important to try a variety of lenses before you find the ones that will correct your vision in the best way. Plastic lenses are typically used in various types of eyeglasses. Plastic lenses are the go-to choice for many people because they are affordable and they are simple. Just like high-index lenses, plastic lenses can also be tinted without any problems. Plastic lenses will not provide the same type of vision correction and clarity as high-index lenses, but the clarity is adequate. If you have been given a strong prescription and stronger lenses have been recommended, plastic lenses will not be the best option for you. If you do not like thick lenses that will give you that bug-eyed look, plastic lenses are probably not the right choice for you. Are High-Index Lenses Going To Be Your Choice? If you have been struggling to see with your current glasses, you should certainly do something about it. Do not let your eyes get worse because your current glasses are not adequate. 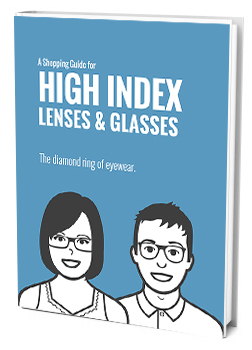 Do not hesitate to ask your eye doctor for more information on high-index lenses.